HElicopters Deploy GNSS in Europe (HEDGE) is a project commissioned by the GSA and part-funded under the EU’s Seventh Framework Programme (FP7). The aim of the project is to develop and demonstrate new helicopter approach procedures as well as other EGNOS applications for general aviation. 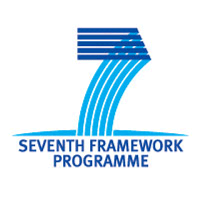 The initiative builds on the outcomes of the GIANT project (Framework Programme 6). Most activities within HEDGE are directed towards helicopters, hence the name, but it also covers fixed-wing activities. It includes four helicopter and one fixed-wing (small aircraft/general aviation) demonstration, and a data collection/analysis task. Important notice: this website and all the materials published herein reflect only views of their authors and the Community and the GSA are not liable for any use that may be made of the information contained herein.